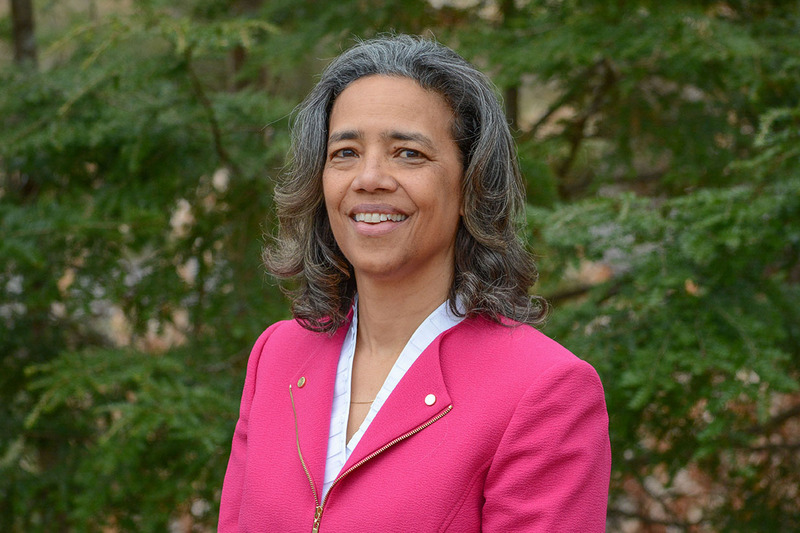 Cheryl Bascomb ’82 P’12—a longtime Dartmouth volunteer who has led alumni efforts at regional and national levels, including a stint as vice president of the Association of Alumni—has been chosen to head Dartmouth’s worldwide efforts in alumni engagement. Bascomb, who has more than 30 years of experience in marketing and business development, assumes the role of vice president for alumni relations on June 1. Outside of her professional career, Bascomb has a record of nonprofit board leadership and volunteer service both in her community and at Dartmouth. Among her many Dartmouth volunteer roles, she has served as vice president of the Association of Alumni, president of the Dartmouth Club of Maine, alumni councilor, alumni admissions interviewer, and Dartmouth College Fund volunteer. She returns to Dartmouth after serving as director of marketing and business development for Portland, Maine-based BerryDunn, northern New England’s largest independent public accounting and consulting firm. Prior to joining BerryDunn in 2001, Bascomb worked in marketing and leadership roles with Gofish.com, Unum Life Insurance, and L.L. Bean. The vice president for alumni relations provides strategic vision and direction for alumni communications, engagement, programming, and volunteer leadership in service to the College and its global alumni network of more than 81,000 alumni. She leads a team that oversees alumni leadership, Dartmouth Alumni Magazine, class activities, regional communities, and the Admissions Ambassador and Dartmouth for Life programs, as well as lifelong learning programs, on behalf of undergraduate alumni and alumni of Dartmouth’s graduate and professional schools. Bascomb was appointed after a national search assisted by an Alumni Advisory Committee led by Jennifer Avellino ’89, a past president of the Dartmouth Alumni Council. The other members included R. Bradford “Brad” Evans ’64, trustee emeritus; Peter Robinson ’79, trustee emeritus; Eugene “Buddy” Teevens ’79, head football coach at the College; Burgwell “Burgie” Howard ’86; Mabelle Hueston ’86, second vice president of the Association of Alumni; Jennifer Tisdel Schorsch ’87; F. Jon Kull ’88, dean of Dartmouth’s School of Graduate and Advanced Studies; Nestor Paz-Galindo ’93, an alumni council member; Alyse Streicher ’95, an alumni council member; S. Caroline Kerr ’05, a current trustee; and Jonathan “Jay” Webster ’13. Sandler Search, run by Josie Sandler ’91, facilitated the process. As an undergraduate, Bascomb earned her psychology degree and was an Agnes Kurtz Award winner in women’s rugby, captain of the track and cross country teams, and a member of Kappa Kappa Gamma. Bascomb and her husband David Van Wie ’79, GRAD ’84, Thayer ’84, have two children, Rosa ’12 and Garrett. She succeeds Martha J. Beattie ’76 who will retire after more than seven years at the helm of Alumni Relations.